It is used for making delicious and tasty Biryani. also Called as Tamil Nadu Basmati Rice. 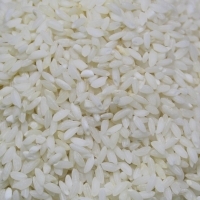 Gives Traditional like Basmati Aroma 5% Broken Available in custom packing Minimum Order 5 tons Payment Terms-50% Advance and balance against Bill of Lading Copy. Contact us for Pricing. Cumin seeds, whose scientific name is Cuminum cyminum, are an excellent source of iron, a mineral that plays many vital roles in the body. Iron is an integral component of haemoglobin, which transports oxygen from the lungs to all body cells, and is also part of key enzyme systems for energy production and metabolism. Additionally, iron is instrumental in keeping your immune system healthy. Iron is particularly important for menstruating women, who lose iron each month during menses. Additionally, growing children and adolescents have increased needs for iron, as do women who are pregnant or lactating. 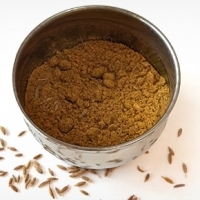 Cumin seeds have traditionally been noted to be of benefit to the digestive system, and scientific research is beginning to bear out cumin’s age-old reputation. 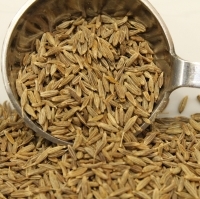 Research has shown that cumin may stimulate the secretion of pancreatic enzymes, compounds necessary for proper digestion and nutrient assimilation. Although the small cumin seed looks rather unassuming, it packs a punch when it comes to flavor, which can be described as penetrating and peppery with slight citrus overtones. Cumin’s unique flavor complexity has made it an integral spice in the cuisines of Mexico, India and the Middle East. Cumin seeds resemble caraway seeds, being oblong in shape, longitudinally ridged, and yellow-brown in color. This is not surprising as both cumin and caraway, as well as parsley and dill, belong to the same plant family (Umbelliferae). The scientific name for cumin is Cuminum cyminum. Cumin is available both in its whole seed form and ground into a powder. Stonevault exports india pvt. Ltd.
Short on time? Let jeera sellers contact you. Shree Mohanlal Savaichand & Co.
Raj Flavours (India) Pvt. Ltd.
We are an manufacturer and exporter of food products like papad. 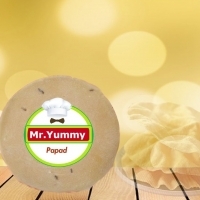 We supply different varieties of papad like urad dal papad,masala papad,jeera papad in both handmade and machine cut papad is available in different sizes at best quality with best price in the brand name of mr yummy. We also supply our papad in the customized logo and packing based on the clients requirement. Cumin is a flowering plant in the family Apiaceae, native from the east Mediterranean to India. 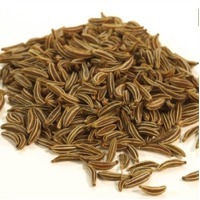 Cumin is a seed spice well known for its medicinal properties in India and many other Asian countries. Cumin is grown mainly in hot climatic conditions. India is the largest producer and consumer of Cumin in the world. Indian output is currently estimated to be around 200,000 ton per year. Gujarat and Rajasthan are the major production centres of this spice in the country. 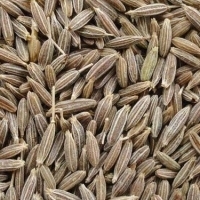 In India, Cumin is sown in October-November and harvested in February. Fresh crop generally reaches the market during March. Cumin has mainly available in two types â?? black and white. We can supply the following spices : 1. Haldi Powder : Rs.150/- per Kg. 2. Haldi Gota : Rs.120/- per kg. 3. Chilli Powder : Rs.150/- per kg. 4. Kashmiri chili powder : Rs.155/- per kg. 5. Chili Gota : Rs.130/- per kg. 6. Dhania : Rs. 90/- per kg. 7. Jeera powder : Rs.230/- per kg. 8. 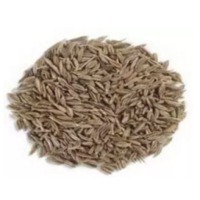 Jeera Gota : Rs.210/- per kg. 9. Garam Masala : Rs.250/- per kg. 10. Sabji Masala : Rs.250/- per kg. The above products are including GST and Transportation. Cumin, also known as 'jeera' in india, is a widely used ingredient in indian cuisines. It is referred to as the dried seed of 'cuminum cyminum' that belongs to the parsley family. Cumin seeds are derived from the plant of cumin, a herbaceous annual plant, that has slender branched stems about 30 cm tall. To get better taste and aroma the cumin seeds are firstly grounded and then added in the food stuff. The best quality cumin seeds are grown in gujarat city and we are one of the best cumin seeds exporters and suppliers in india. 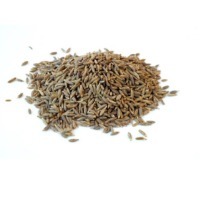 Cumin seeds 1, 2 ,25 and 50 kg air tight packing are available.